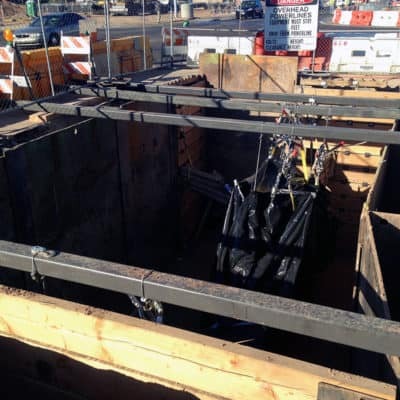 If you need trench shoring equipment for your next big project you may want to consider renting one of our Beam and Plate Systems. The beam and plate method is most commonly used when there is a large project that is going to span a longer period of time. While it may take a little more time and effort to put into place, it will provide incomparable support throughout the duration of the project.